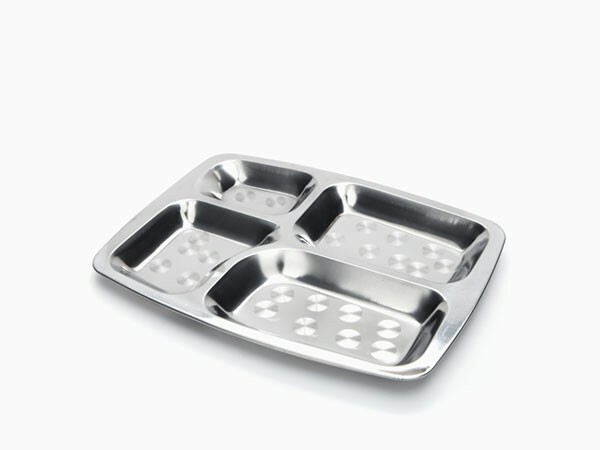 Onyx Stainless Steel divided food tray. Requested by many, so here it is! 35.5 x 26.5 x 2.5 cm or 14 x 10.5 x 1 inches Great for all ages, with four seperate sections. #202 Onyx Stainless Steel, dishwasher and oven safe. Made responsibly in China.